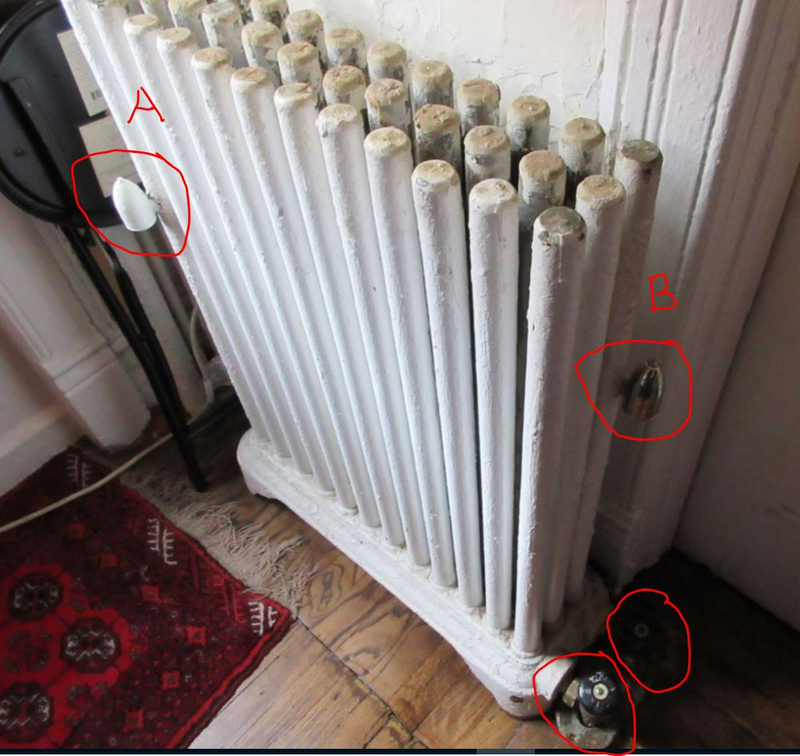 Wanted to know what is the correct location for air vent on this radiator? 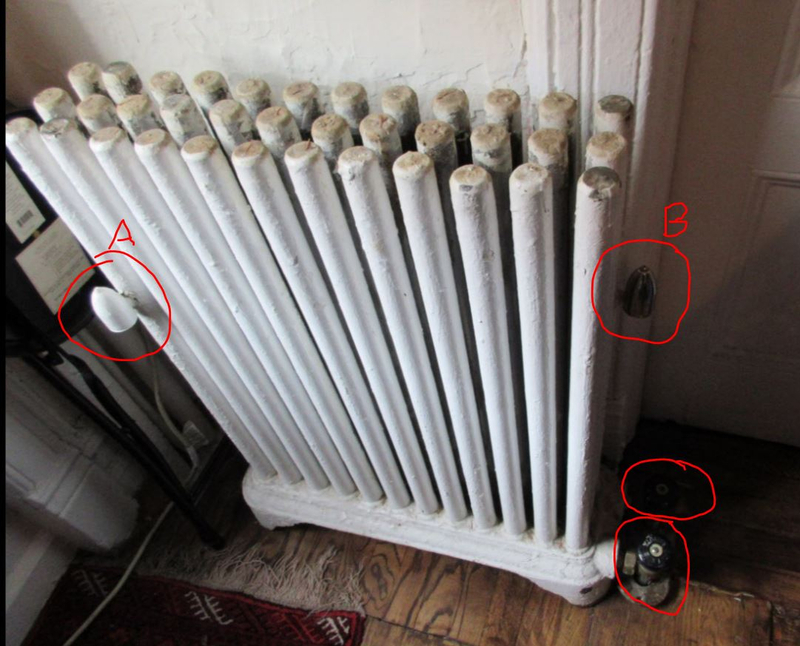 This is a Paul steam system radiator - 2 pipe. The two RED circles at the bottom of the pictures are highlighting two valves . Paul system was abandoned many many years ago. Over the years, this building in NYC underwent several partial rehabs during which the heating system was randomly and partially changed from Paul to 2 pipe, one pipe, and even hydronic distribution - YES THE BLDG HAS 2 PIPE, ONE PIPE, AND HYDRONIC DISTRIBUTION AND SEVERAL EXISTING PAUL RADIATORS. When I say randomly, I mean randomly because even on same line, for example "A" line - the 1st and 3rd floor are heated with hydronic, 2nd floor has one-pipe steam and 4 and 5th floor has 2 pipe. That vent at location "B" probably does little or nothing as it will get hit with steam and close almost immediately. The "A" vent is probably placed about where it needs to be. I'm not sure if the Paul system is even suppose to be a 2 pipe, vented system.